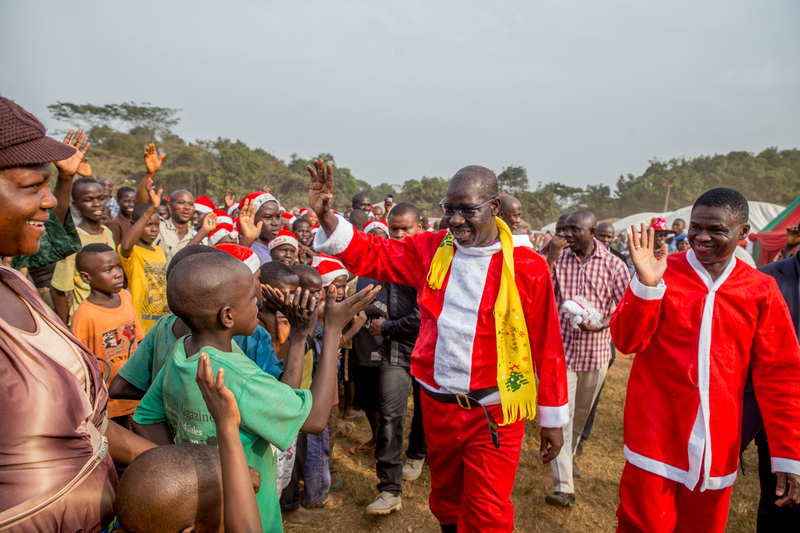 In the spirit of the season, Edo State Government on Saturday, hosted the Internally Displaced Persons (IDPs) at the International Christian Centre to a Christmas party where Governor Godwin Obaseki and Deputy, Comrade Philip Shaibu played the role of ‘Father Christmas’ to the admiration and excitement of the children. The event, which was hosted by the Office of the Governor’s Wife, Mrs. Betsy Obaseki is unique in this part of the world – if not the first in recent history. The event also afforded the children the opportunity to engage in various fun-sports activities such as bouncing castle, merry-go-round, coconut ride, electric train, mountain climber, giant water slide, swimming pool, giant shark attack, aeroplane rocking ride, dolly coin machine, princess castle, superman castle, children boogie bike, octopus, inflatable football among others. It was also not in short supply of assorted food and drinks with gifts for everyone. However, a new dimension was introduced – the pleasant surprise – Governor Obaseki and his Deputy, Rt. Hon. Comrade Philip Shaibu emerged from the ‘blues’ posing as ‘Executive Santa Claus’. On hand to support Mrs. Betsy Obaseki was the Deputy Governor’s Wife, Mrs. Maryann Shaibu.